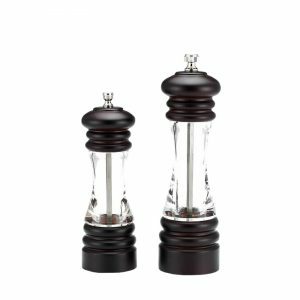 Holar aims to produce high-quality wood salt and pepper mills which makes your home cooking and dining experience simpler and nicer. 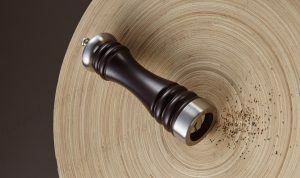 With certificated hardened carbon steel grinder & advanced ceramic grinder, the wood salt and pepper mill allow finely crush, mill and grind spices to perfection. Saving your precious time and your labor. The rust-resistant copper plating knob on top, makes your food safer and allows you to adjust the grind from fine to coarse. 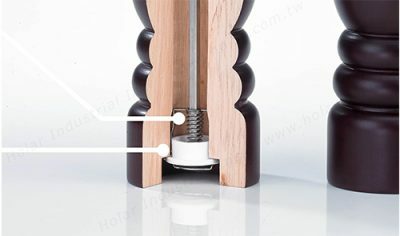 The dispenser holds the center shaft in place while grinding, make your grinding process more stable. Certificate of a sustainable source of wood origin. 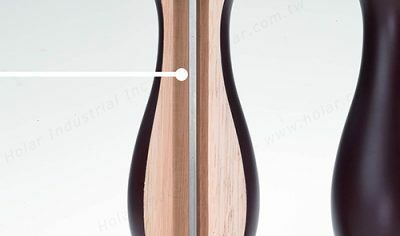 We guarantee only use eco-friendly material on Holar kitchenware products. 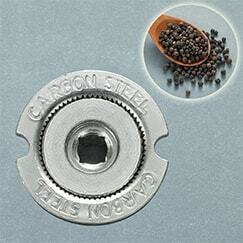 Both solid mechanisms enhance consistent grinding performance, make the grinding process more stable. The premium carbon steel and ceramic grinder ensure a consistent, powerful grind through the toughest Himalayan salts and the crunchiest peppercorns. 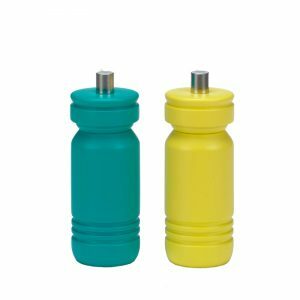 Why is the Dispenser Needed? The tolerances required to maintain concentricity, which ensures that the top lid, shaft, and grinder set all share the exact same axial center is critical. 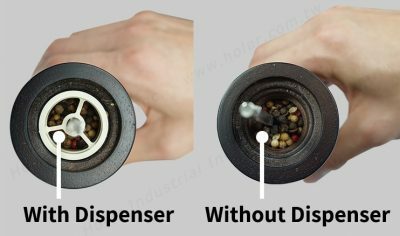 The unique-designed dispenser ensures center shaft stability, providing both consistency of grind as well as an extremely fast grind speed. 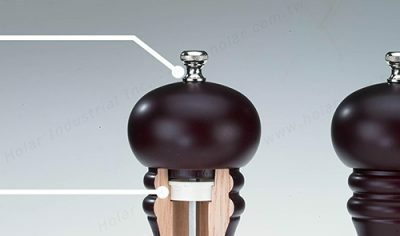 1) Unscrew the steel knob and remove the top wooden lid. 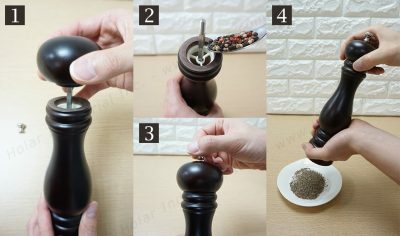 2) Fill the grinder with fresh peppercorns or salt. 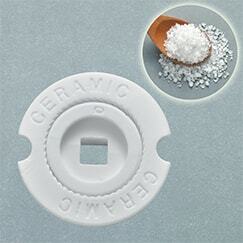 3) Replace the top and adjust the knob to desired grinding size. 4) Turn round wooden cover to start to grind. – For a fine grind, turn the knob clockwise. 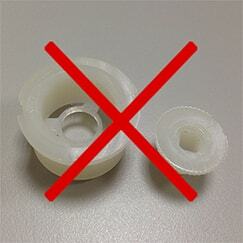 – For a coarser grind, turn the knob counterclockwise. 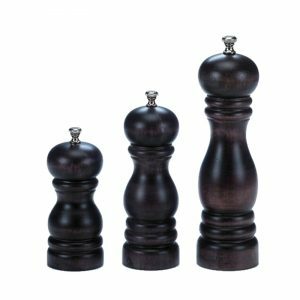 Sign up for the 2019 Salt and Pepper Mill E-Catalog! Please fill the form and the catalog will be sent within a workday.